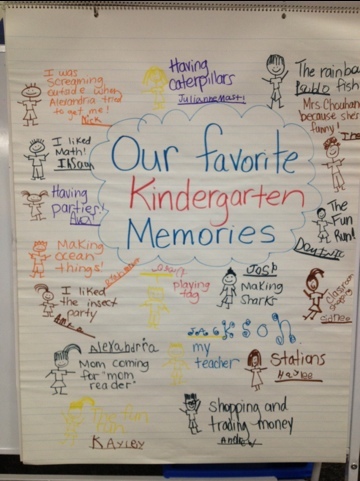 On the last day of school, I asked my students what their most favorite thing about kindergarten was. They loved sharing their memories! I loved having their thoughts in this web! 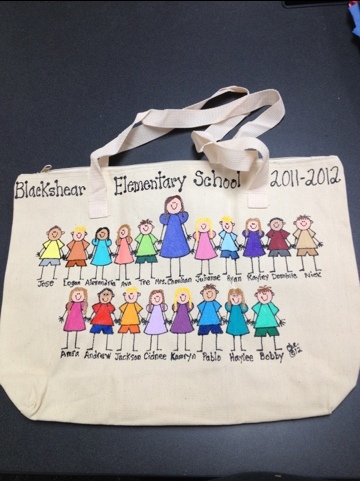 I received this wonderful gift from a parent, one school year! 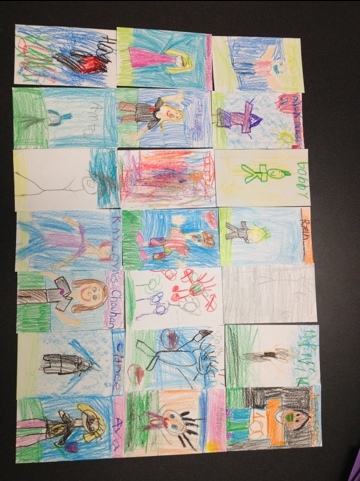 Every child in my class is represented! I just love it! A few years ago, my students drew a picture of themself as a Kindergarten student. They did a wonderful job! One of my students inspired me to have an “End of the Year Circus-Themed” Party. So I did! It was fun and easy to decorate. It was also very inexpensive! 1. 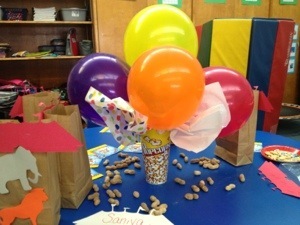 I made the balloon center piece by taping 4 balloons to a popcorn cup and then a filled in the holes with tissue paper. 2. I sprinkled the table with peanuts and animal crackers. 3. The brown bags are filled with popcorn and are decorated with circus animal die-cuts. 4. I placed some more animal crackers in a ziploc bag and then placed a die-cut of a circus tent on the top. 6. At Michaels, I found some 50 cent Circus plates and napkins!